My first day in Thibaud involved settling into my living space for the next week. My living arrangements involved sleeping on army cots, complete with a mosquito net. I shared the basement of a school with 7 other people, which proved to be quite challenging considering we only had one bathroom. We lacked hot water, but that proved to be an unnecessary luxury, as the days and nights were typically hot and humid enough that a cold shower was a welcome relief. Our day began with breakfast at a school that was close to the project site. We were very happy with the breakfast that was provided, as we had plenty of protein, fresh local fruits, and fresh juices and various teas. Our various meals exposed us to the typical Dominican diet, which included plantain (green banana), fig, dasheen (a type of tuber), roasted breadfruit, lots of fish, chicken, bakes (fry bread), and various stews, which are almost always served with dumplings. 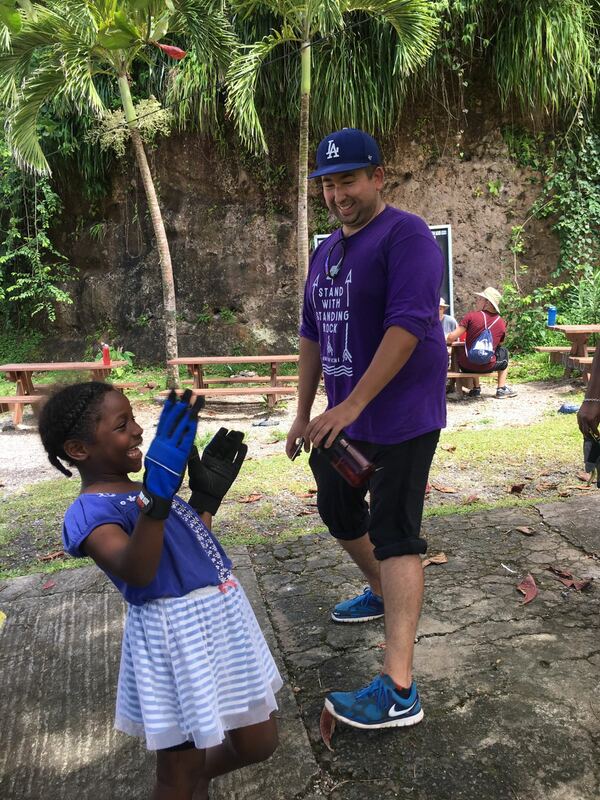 I was fortunate to be invited to help prepare meals for the volunteers, and I got to learn how to make some of the local specialties, such as salt fish, which is one of the dishes that are unique to the Caribbean islands. 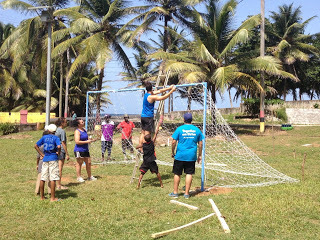 This was my second trip with Courts for Kids, but this project had more volunteers and we were constructing a much smaller court than the one in Peru. 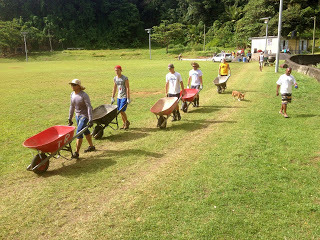 Although we had more than enough volunteers, no one was ever sitting around or looking for something to do. We all found our niche, and everyone worked very hard. 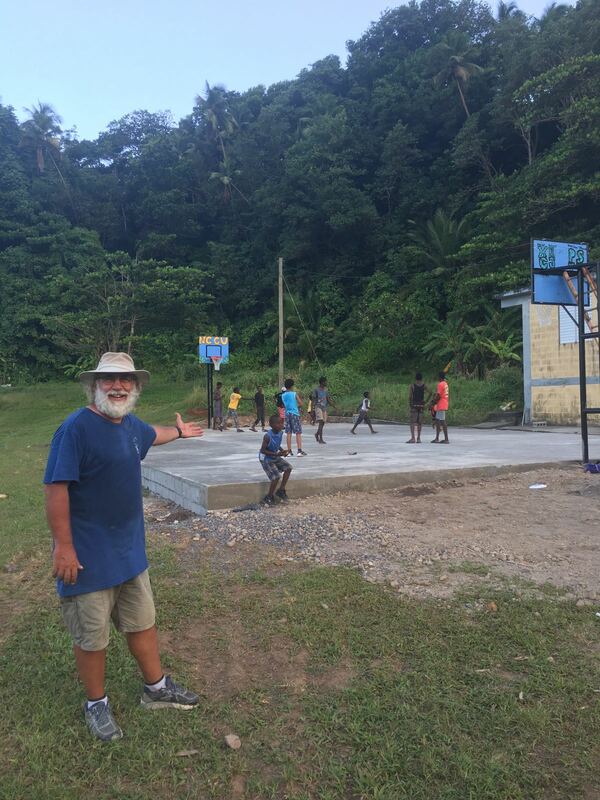 Some of the locals took time off work and dedicated their time to the court construction. 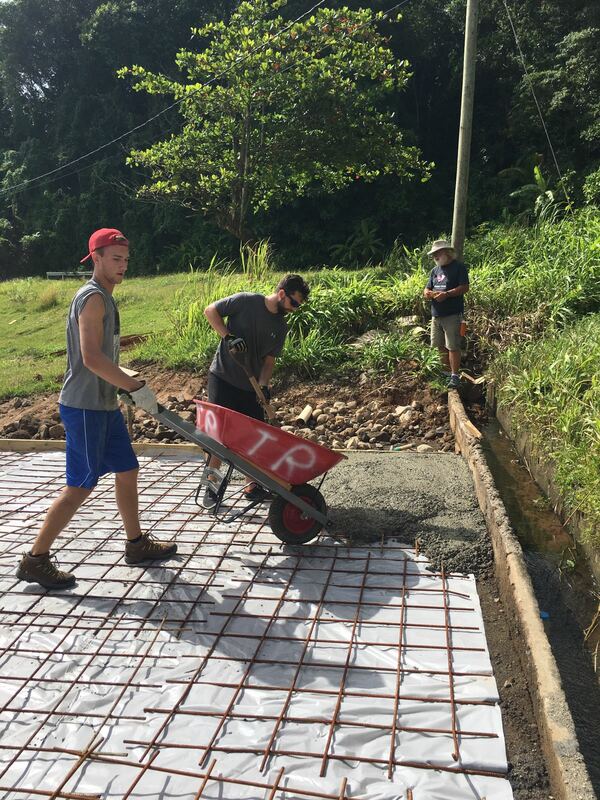 Even the kids and our village mom (77 year old Catherine) helped out by shoveling gravel and carrying cement bags and buckets of water. As expected, the work went by very quickly, and before I knew it, we were adding the final touches to the court. We were touched by the outpouring of community that we all experienced. Everyone was very friendly with the volunteers, and personally, I never felt like an outsider. We were always greeted with a “good morning,” or a “cool,” or “yah man!” (in the awesome Caribbean accent). Some of us even learned a few Kweyol phrases, which I think the people in the village really appreciated. I enjoyed seeing their faces light up when they were greeted with a “Ca ka fete?” (how are you?). People in the village donated food, juice, and often surprised us with special desserts such as potato pudding, cocoa tabs, and cocoa tea made from fresh local cocoa. 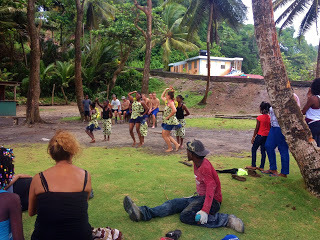 During our trip, we were exposed to local music and culture, which included drummers from a nearby village, and a group of dancers who were also from a nearby village. We visited the local bat caves, climbed ropes to get to a short trail along “L’islet”, spent many hours at the local beach, and took a short hike to the spring where clean drinking water emerges from the rocks. 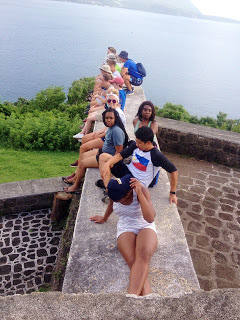 In addition to spending time in Thibaud, we were also treated to multiple excursions around the island. 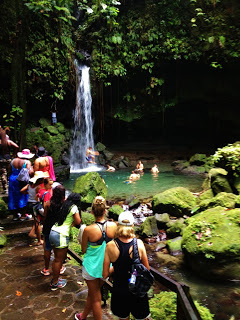 Dominica is known as “Nature Island,” which is a fitting name for obvious reasons. We hiked to various waterfalls and swam in a couple of the pools below, soaked in hot springs, and visited a cold volcanic spring. We saw the largest fresh water lake on the island with multiple hot/cold springs gushing from rocks along the route. We visited Portsmouth, including Cabritz National Park and Ft. Shirley, with a stop at one of the local black sand beaches. 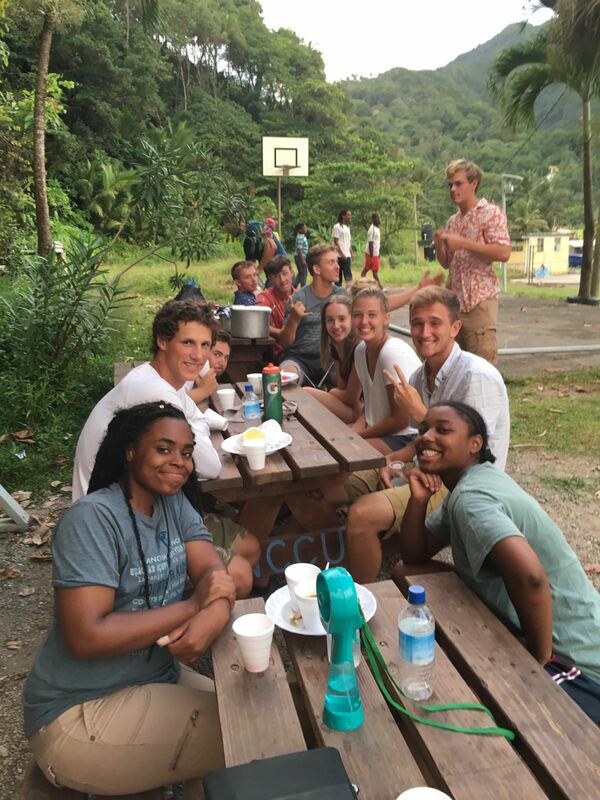 The night before the first group of volunteers left Dominica, we all got to enjoy a lovely sunset and a lobster dinner that included a plate filled with local lobster tails and various side dishes. 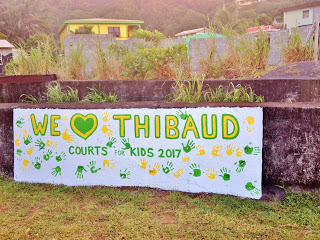 During our stay in Thibaud, everyone spoke about the upcoming Thibaud Fete (feast), and asked us if we were going to make it. Most of the volunteers left the day after the work was complete, but those of us who stayed after agreed that we needed to go to the village feast. 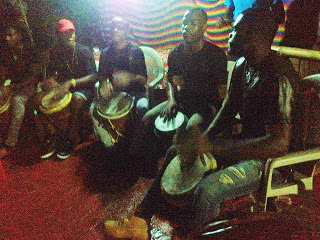 Since we had received personal invitations to come to the village feast, our last night was spent celebrating with our new friends in Thibaud. 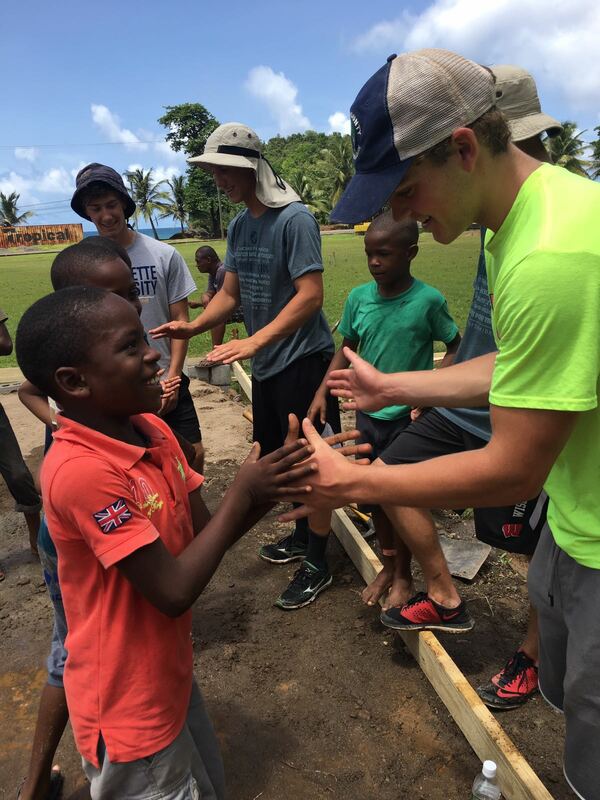 This trip was definitely the most memorable thus far, and I’m still amazed at the sense of community that we experienced and the outpouring of involvement from everyone in the community. I feel most of us formed special bonds with people from Thibaud, and I’m glad to say that I still talk to my new friends. 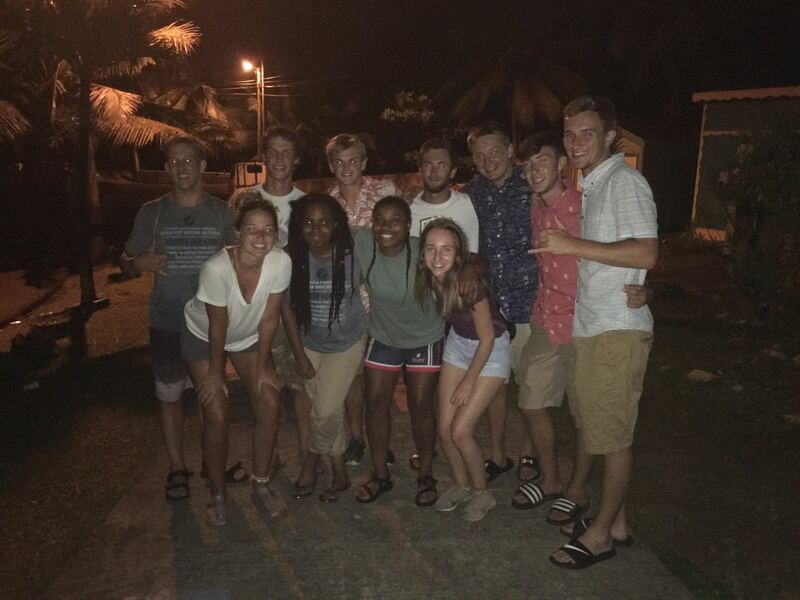 I’m happy to know that I have friends in Dominica, and I will always have another place to call home. I would definitely like to go back, either on another Courts for Kids trip or a personal holiday. 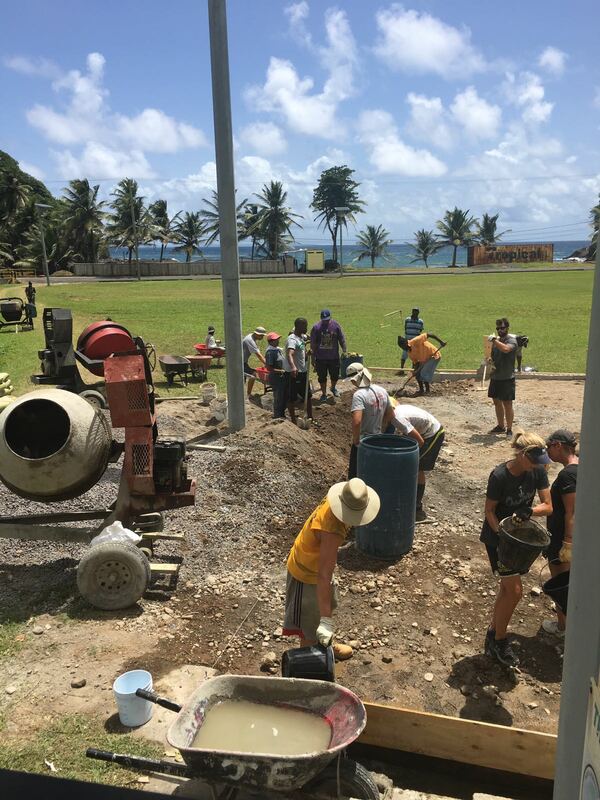 Thanks to all the CFK volunteers, the Peace Corps volunteers, and the people of Dominica who made this a special, fun-filled, memorable and humbling experience.